Your success in any contested domestic relations law suit or settlement requires experienced legal representation at a reasonable price. Michael Bogenschutz has practiced family law, including divorce, custody disputes, property division by death, divorce or agreement, enforcement of Court orders, adoptions , wills and probate in Harris County and Montgomery County, Texas since 1980. He has been Board Certified in Family Law by the Texas Board of Legal Specialization since 1989, and has been recertified as a family law specialist every 5 years since 1989, requiring at least 100 hours of continuing legal education in his specialized area of family law, peer review, judicial review, and demonstrating substantial involvement in family law. Whatever your family law needs, Michael Bogenschutz will provide the experienced counseling and legal representation necessary in your case at a reasonable price. His office is conveniently located near you on Main Street in “Old Humble”. 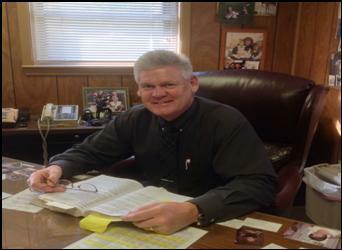 Michael has been practicing Law in Humble for 34 Years. Michael has been Board Certified in Family Law since 1989. There are quite a few attorneys in the city of Humble and even more in the surrounding area. There are also about a dozen more who are not even in the local area but have a Humble address and phone number. Mike is one of the few truly local attorneys who is still practicing after 30 years. Mike knows the town and the people in it and will give 100% of his experience to your case. Michael Bogenschutz is a member of the Texas Academy of Family Law Specialist, and the Houston Bar Association.